Oh man, has it been an eventful month! I started student teaching, wrecked my old car, got a new car, and turned 30. Uffdah. 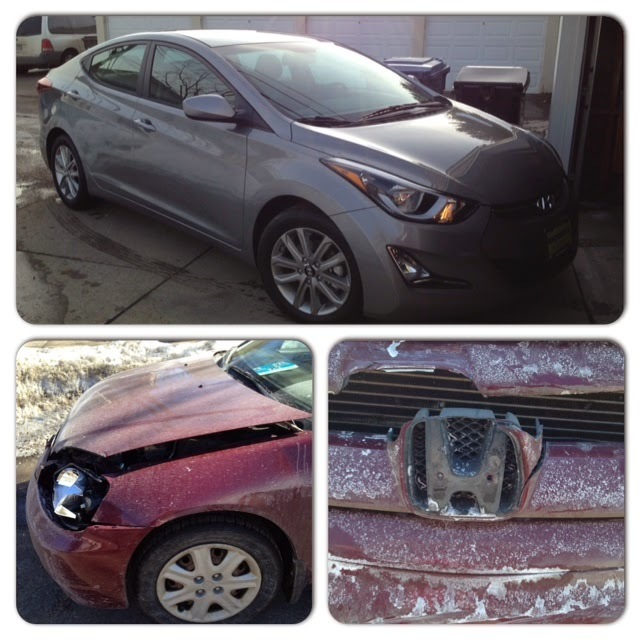 1) My brand new, 2014 Hyundai Elantra. 2) A birthday cupcake- one candle for each decade! 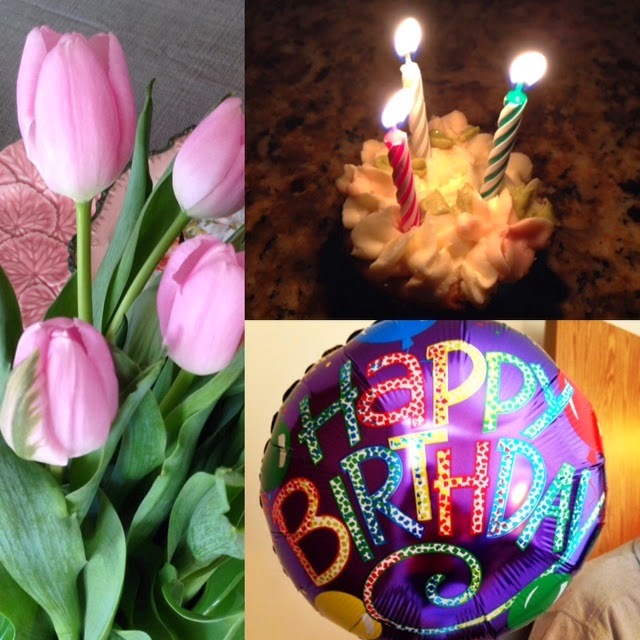 3) Birthday balloon for my granny, who turned 89! So, my little Civic got wrecked when another driver ran a red light. Everyone was fine, but I was pretty sad about the Honda, and I wasn't quite ready to get a new car. But, I have to say that I LOVE my Hyundai Elantra! I have Bluetooth, heated seats, a back-up camera, and lots of other bells and whistles! My birthday was pretty nice, too. I shared a celebration with my granny's 89th birthday the weekend before, and went out to dinner with John on the actual date. I hope you all had great months! I love it too! Did yours get in a wreck, too? Oh no! I'm glad you are okay. I see people run red lights all the time around here and it is so scary. Thank you :) I'm glad things went the way they did... seems like there are just more and more bad drivers out there!